We offer two types of accommodation to tourists and travellers visiting Derry-Londonderry: Bed and Breakfast; and Self-Catering. We have 2 Bed and Breakfast establishments and 3 Self-Catering/Vacation Rental properties. 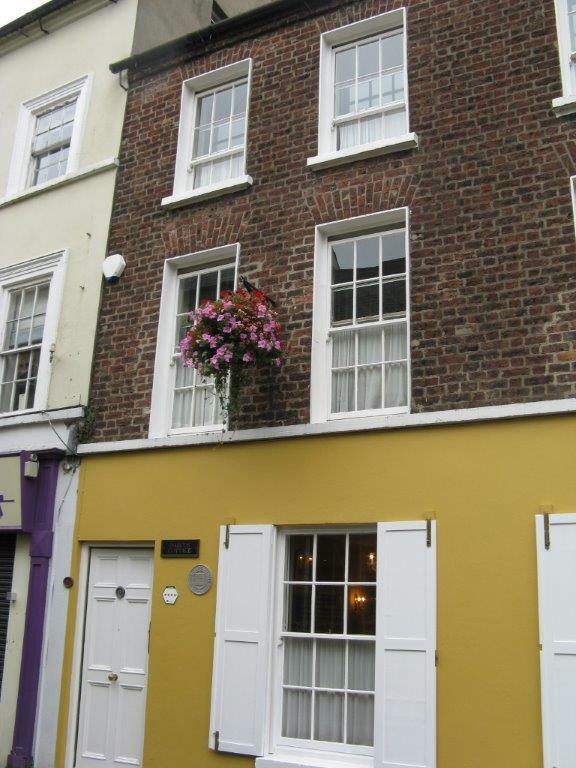 Saddler’s House and Merchant’s House are our two charming family-run B&Bs situated in the centre of Derry-Londonderry. Both houses are listed buildings of historical and architectural interest which provide a distinctive experience to guests. We also offer three Self-Catering/Vacation Rental options in older renovated buildings within the city walls: Cathedral Cottage; Darcus Cottage; and Pump House Apartments. All our properties are within walking distance of the major visitor attractions. All of our properties are located in the historic core of the city of Derry/Londonderry. While they cannot offer the space and comfort of hotels, they are interesting places to stay, authentic and full of charm, and are reasonably priced. They offer a characterful alternative to hotel accommodation and have proved popular with cultural visitors to the city. All are centrally located and are within walking distance of the major tourist sites, museums, shops, restaurants, pubs, tourist information centre and the bus station. Our aim is to offer visitors a distinctive and attractive base from which to explore the city on foot, without the need for a car or taxi. Our properties also provide a convenient base from which to explore Donegal, the Giant’s Causeway and the North West region of Ireland. Because of their period features and interiors, our houses have been used for photo shoots, weddings, and cultural and academic events. We are proud to have hosted a number of distinguished guests from the political, theatrical and cultural worlds. In recent years we have provided accommodation for visiting groups of college and university students and faculty from overseas and our location and facilities are ideal for this purpose. Located at 36 Great James Street, this is a tastefully restored 19th-century Victorian townhouse in a conservation area in the heart of Derry. Built in 1871 for William Dickson Esq., a saddle maker, the house remained in the possession of his family for over a century. As a result, most of its original features survive intact and these are enhanced by pieces of fine old period furniture. Located at 16 Queen Street, this building is part of a well-preserved terrace of four large imposing houses, and is one of the few surviving grand 19th-century city dwellings still in residential use in Derry. Built in the Georgian style over 150 years ago for a naval surgeon, its architectural features survive intact. It offers guests the opportunity to savour the ambience in which the professional and merchant classes of a bygone era lived. We are the most recent in a colourful list of previous owners including a naval surgeon, a Justice of the Peace, a wholesale grocer, two Church of Ireland rectors, a pork butcher, and the Bank of Ireland. The Merchant’s House will appeal to guests who enjoy architecture and history and want to slip back in time to savour the atmosphere of a bygone era without, however, dispensing with the comforts and conveniences of the present day. 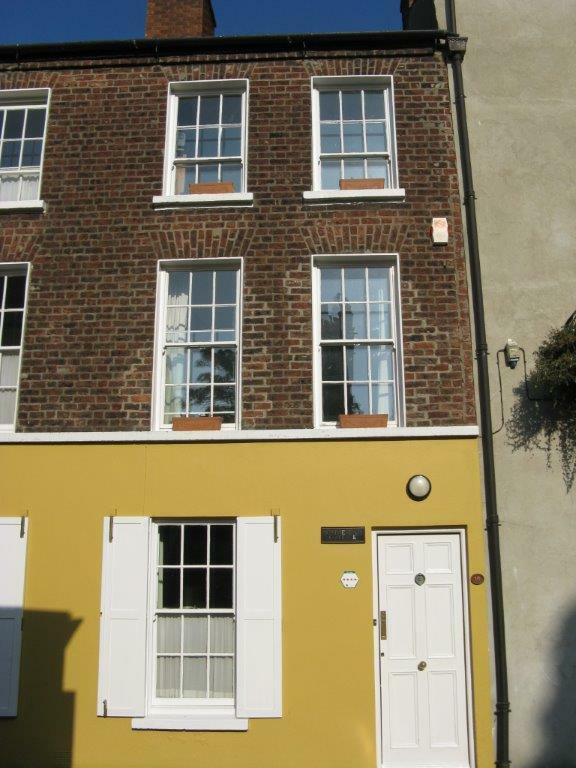 Situated at 16 London Street, this is a compact, pretty three-storey Georgian townhouse inside the city walls. This cosy house, with well-proportioned bright rooms and Botero prints, has a comfortable and homely ambience. Its name derives from the fact that it faces St. Columb’s Cathedral, Derry’s oldest building. The location, on a quiet city-centre street, is excellent. Restaurants, shops, pubs and museums are all within easy walking distance. Located at 14 London Street, this is a larger version of Cathedral Cottage, its next door neighbour. In fact, these two townhouses originally formed a single Georgian residence 250 years ago which belonged to Henry Darcus, a member of a prominent city family. Situated in London Street, one of Derry’s most historic and atmospheric thoroughfares, Darcus Cottage faces St. Columb’s Cathedral and the prestigious Bishop’s Gate Hotel. With rooms spread over four floors, this quaint town house offers a distinctive and memorable experience to discerning guests. These three apartments, each with two bedrooms, are located at 2 Pump Street, in the commercial heart of the old walled city of Londonderry. Pump Street is generally considered to be the city’s most intact 18th-century street. The apartments are situated on the first, second and third floors of a mid-19th-century building, constructed on the site of a much earlier edifice. The original slightly out-of-kilter staircase, some old fireplaces and the antique beams supporting the roof hint at the past history of this house, which was inhabited only by pigeons at the time we acquired it. Many of the building’s original features had been removed or destroyed at this stage, but we have retained whatever survived. All of our properties are centrally located on the west bank (city side) of the River Foyle. Guests arriving by train should take the free shuttle bus to the bus station. 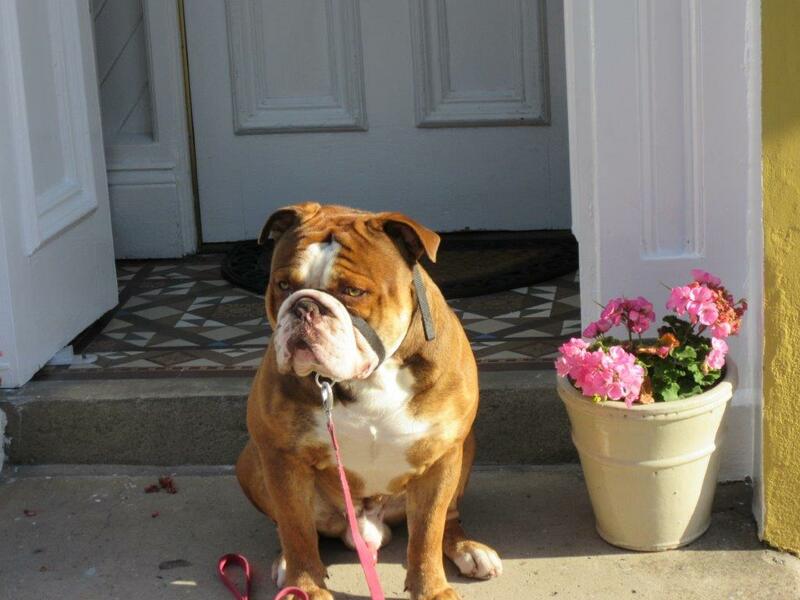 We are within 10 minutes’ walking time of the bus station or a short taxi ride for guests coming by bus or train. Guests arriving by car should approach via Queen’s Quay or the Foyle Embankment before turning into Clarendon Street and then into Queen Street for the Merchant’s House or Great James Street for the Saddler’s House. 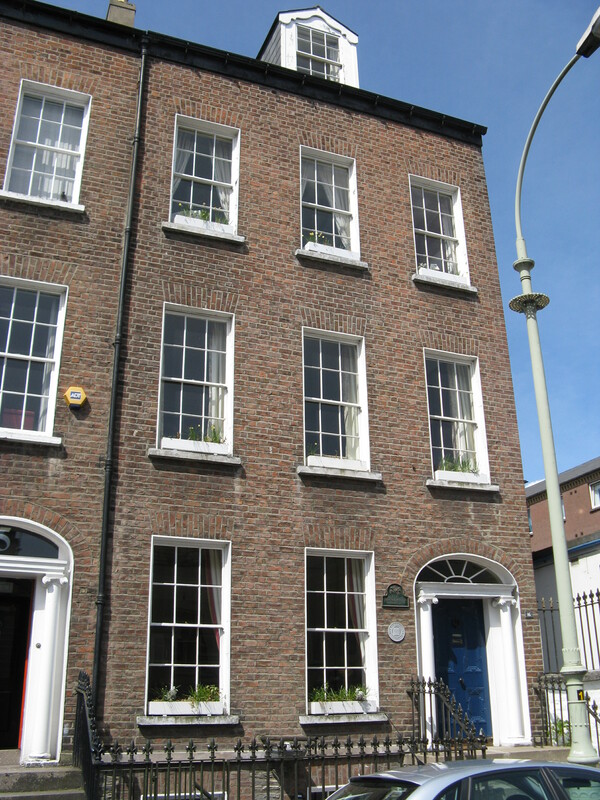 Guests coming to the Saddler's House should continue to the top of Clarendon Street before turning left into Francis Street, and left again into Great James Street, which is one-way at this point.